September 1 through November 30, use The Toll Roads’ free app to sign up for a new FasTrak® account and $30 in tolls will instantly be credited to the new account. The app is available in the Apple App and Google Play Stores. To receive the $30 in free tolls, use promo code “Mobile30” at sign up. The Toll Roads recently released version 1.2 of its award-winning app. The update allows users to establish a FasTrak account entirely from their mobile device while continuing to give FasTrak accountholders access to the same account and customer service features available on The Toll Roads’ website. In May 2012, The Toll Roads became the first toll road operator in the nation to offer an app for toll account management. 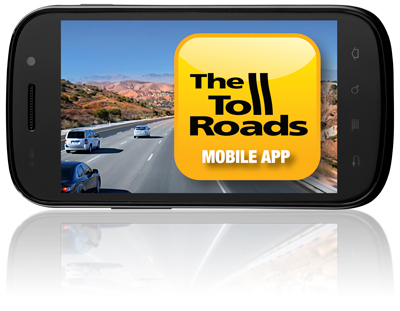 To date, more than 44,000 customers have downloaded The Toll Roads App. Click here to learn more.